Source IRIN: BANGUI, 29 November 2015 – The Pope’s visit to this capital city on Sunday is, in his own words, motivated by his desire to “contribute to the dressing of the wounds and opening of the way to a more serene future for Central African Republic and all its citizens.” His trip comes almost three years after a rebel coup that continues to reverberate violently in different parts of the country. Among the most affected places are Bangui and the towns of Bambari, in the south, and Batangafo, in the north. In March 2013, the Seleka – a predominantly Muslim alliance of northern insurgent groups who had launched an offensive the previous December – reached Bangui and staged a coup, leading to the establishment of an interim administration. 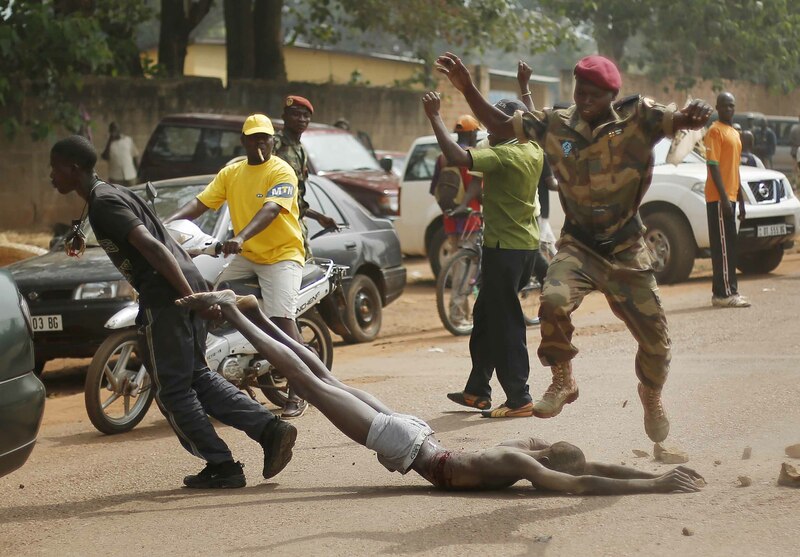 The Seleka’s abuses against civilians prompted armed opposition in the form of ‘anti-balaka’ self-defence groups, and a wave of sectarian violence in a country that is 80 percent Christian. More than half the country’s 2.3 million inhabitants are in “dire need of urgent humanitarian assistance,” according to OCHA, the UN’s aid coordination body. About a million people are displaced, either internally or living as refugees in neighbouring states. For most of this year, the capital enjoyed relative calm. But since late September clashes have left at least 90 people dead and forced some 40,000 people to flee to safer places. Many headed back to a camp at the city’s airport, whose population grew from 7,000 to 22,000. There are now some 32 sites for displaced people across Bangui.